Mission Outdoors Program Director was made for this. Stay in his new career . . . or serve his country. He chose the military and never looked back. After 18 weeks of OSUT training at Ft. Leonardwood Matt was stationed at Ft. Hood, Texas. After less than a year with his new unit Matt found himself in Kuwait. He helped establish Camp Liberty. He was a part of the initial invasion into Iraq. 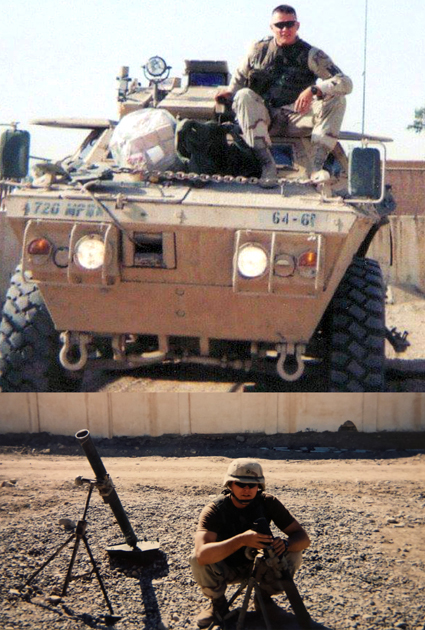 He celebrated his 21st birthday in Baghdad, part of a nine-month stint Dodging Mortars and RPG’s. November 14, 2003 is seared in Matt’s memory. Serving as the gunner as part of a Quick Reaction Force called to help a downed Blackhawk helicopter, Matt climbed into his unit’s Humvee. In a flash, there was a massive explosion. Matt stepped out of the vehicle to return fire, but fell to the dirt in a heap, unable to stand. A 50-caliber round had gone right into his kneecap, shattering his leg. The next 48 hours were a whirlwind of emergency evacuation. First to Germany. Finally to the U.S., where a team of doctors had to make a decision that would change Matt’s life forever. Matt’s leg was destroyed, and back in the U.S. he awoke in a hospital room surrounded by a team of doctors. Over the next 15 months, Matt endured 22 surgeries. A titanium cage was put in his ravaged limb. But something wasn’t right. On a Friday night, Matt’s wife woke him up. He was drenched in sweat and burning with a 106 temperature. For Matt, his prosthetic leg was the beginning of a whole new life. Two weeks after his amputation, his daughter was born. He stayed in the Army for awhile, training other soldiers, but he sensed that something more was coming. His wife took a job in Aberdeen, Washington, and the family made the trek to the Pacific Northwest, a land lush with trees, and water, and new life every spring. 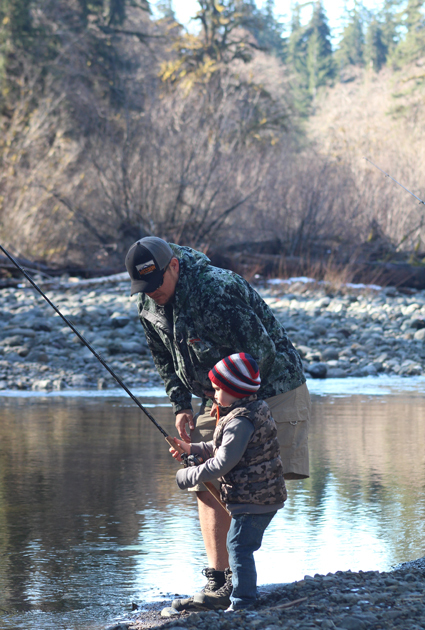 After we moved west, I started working with an organization taking injured vets outside on fishing and hunting trips. I saw the healing power of these trips. I caught a vision for what Mission Outdoors could become. I thought to myself: I have these skills. I can help get my brothers and sisters out of their own pain. With Mission Outdoors, I can do something I’ve been dreaming about for my whole disabled life. This is not just a one-time experience. This is a family. You come on a trip with us, you’re part of the family. You can call me any time and I will answer. Mission Outdoors is about saving lives. It’s about giving vets a purpose and something to look forward to. It’s about helping them see that it’s not all about what they’re dealing with today, but about looking forward to tomorrow.